The autumn chill is now, thankfully, in full swing. I love the summer time as much as anyone, but after a while, the heats start slowing you down, and I, for one, begin to yearn for some crisper air. As a clothing fanatic, it’s totally reasonable that I’d want to wear sport coats, hats, and all the other accouterments that come along with the time when leaves change color. Thankfully, this past week was chilly enough to really warrant some boots, and I had a new pair that I absolutely needed to take for a spin: the Wolverine 1000 Mile Boot in Cordovan No. 8. As you may know, this isn’t the first time that I’ve reviewed a pair of Wolverine 1000 mile boots. It’s unlikely that this will be my last pair, either. I was a big fan of the original pair I got, and my new ones are truly a thing of beauty. 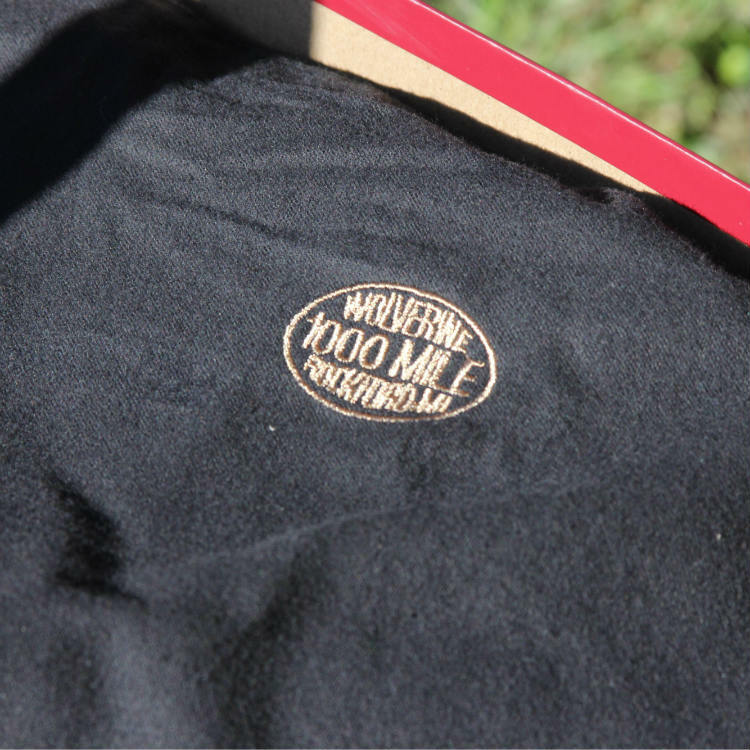 Note: The Wolverine 1000 Mile Cordovan No. 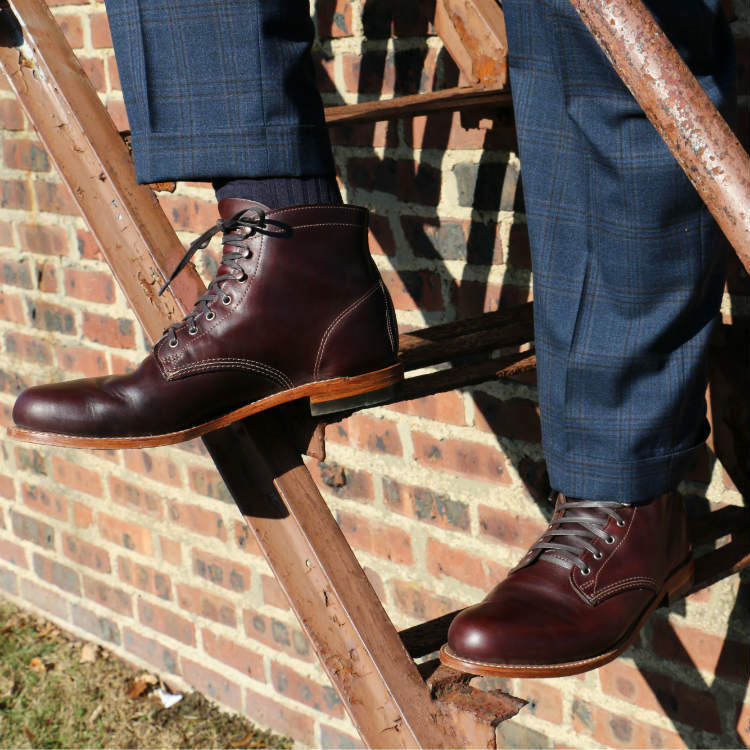 8 boot is also featured in some of our shoe buying guides including Top 10 Best Men’s Boots, Most Comfortable Men’s Shoes and Top 10 Best Work Shoes. To recap, the Wolverine 1000 Mile line of footwear is an American-made, workwear-inspired line of shoes with a particular focus on boots. Utilizing high-quality materials and construction, these boots’ design is based off of Wolverine’s original pattern, which was created in 1914. They can be dressed up or down quite easily. As such, there’s incredible value behind the $365 price tag. The box, unsurprisingly, is sturdily made. Like the 1000 Mile Bison Boots I reviewed in July, these boots came wrapped in a branded black flannel bag. Again, I would have preferred that there were two flannel bags (one for each boot), but I can always repurpose another set should I need to travel with these and / or store them safely. 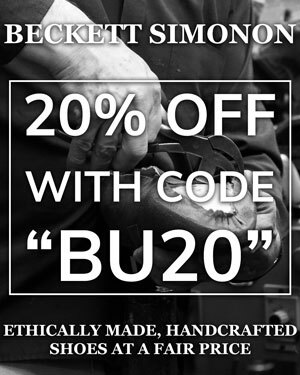 The 1000 Mile boots are crafted with Goodyear welt construction. This in an of itself is enough to justify the price tag, as it allows for the boot to be resoled repeatedly for years and years. Should I ever have a kid, I could pass these down to him if I take excellent care of them (which, for the record, I do). Are These Boots Made From Shell Cordovan Leather? In the case of Wolverine’s 1000 Mile Cordovan No 8. boots, the word “cordovan” refers to the color of the boots and not the leather material. This can be confusing as the name of these boots can lead one to believe that the boots themselves are actually made with cordovan leather. That being said, these upper of these boots are made of Horween Chromexcel leather, which is a premium and durable material from the Chicago-based Horween Leather Company. What Exactly Is Cordovan Leather? Cordovan leather, also known as “shell cordovan,” is a fascinating thing. The word “cordovan” itself comes from the Spanish town of Córdoba, its hometown. It doesn’t come from a cow, but rather a horse. Specifically, it’s a material that comes from a horse’s rump. This leather is renowned for its breathability, comfort and longevity. It’s also very expensive. 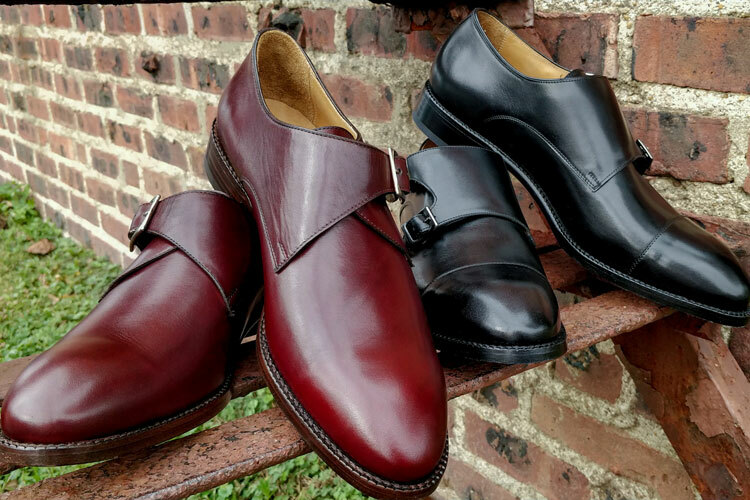 In fact, many shoes made with cordovan leather will be hundreds of dollars more expensive than their calfskin counterparts. The total process for making cordovan leather -tanning, stuffing, shaving, and polishing- takes no less than six months. It’s an exhaustive process that yields a phenomenal product. In keeping with the previous pair I got, the last features a rounded toe and standard boot heel. Being a big and tall man, I take a 14 wide shoe and have a preference for round toes over pointed ones. This last is perfect for me, which is another reason these likely won’t be my last pair of Wolverines! It’s clear as day that these boots will look fantastic with denim. I decided to push the envelope a bit and asked myself, “Can I wear these with a suit?” I just got a new one from Indochino that I was excited to take for a spin, and I’m very pleased with the results! Again, fall is here and it’s not getting any warmer for months. I picked up a suit in a heavier weight fabric to combat the chill, so it makes sense that one would wear boots with it. As it happens, the base color of my suit is navy blue, whereas the boots are that classic brownish red cordovan color. These primary colors always play nicely together, and I couldn’t help but have a bit of fun coordinating my pocket square with the boots. John Lennon was wrong. Happiness is a new pair of boots! I love playing around with clothing, and one of my favorite things to do is wear matching trousers and waistcoat with an odd jacket. I happen to have a beautiful hunting jacket from Benson & Clegg in a gorgeous houndstooth that paired beautifully with both the other elements of my new suit and the Wolverine boots. 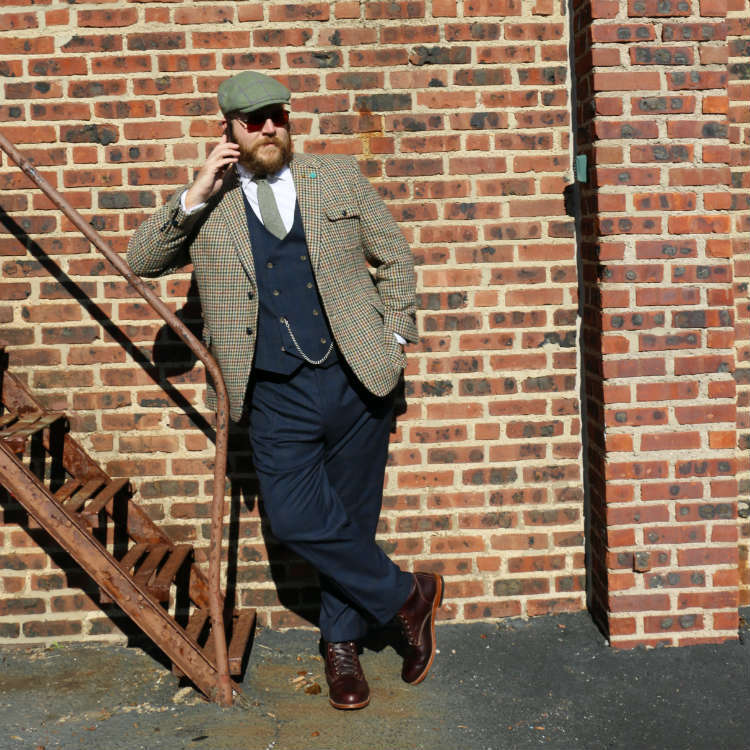 The coat has some flecks of red and other Earth tones in its houndstooth weave that work incredibly well with the Cordovan No. 8 boots. There’s also a fair amount of blue in it, which allows it go pair well with the trousers and waistcoat. You can switch out the trousers for dark jeans and lose the vest and have yourself a more casual iteration of the same thing. I’m in love with these boots. They’re comfortable, well made, versatile, and extremely handsome. The workwear aesthetic is wonderful, and I’m very pleased with the color and choice of Horween Chromexcel upper. Kudos to Wolverine for such an amazing boot! Reviewed by Paul Anthony, on November 23, 2017 . "What a phenomenal pair of boots! Incredibly well-constructed, comfortable, and handsome, these boots are a must-have for the fall and winter. Very highly recommended." 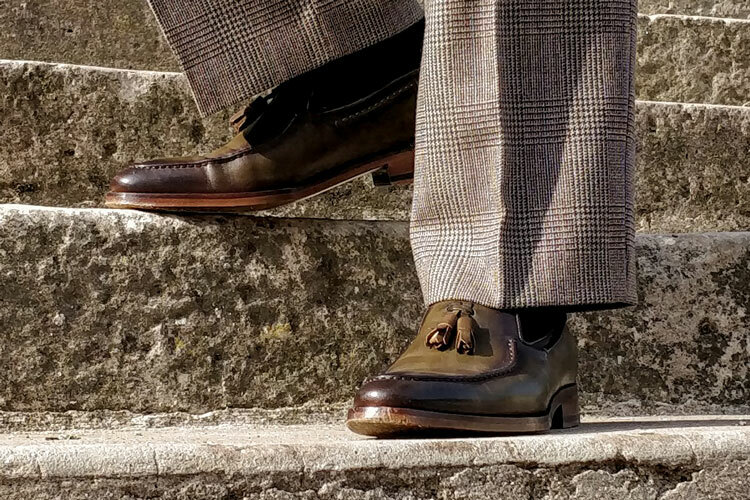 Sorry to say that these shoes are NOT made of Shell Cordovan. They are regular Chromexcel leather and “cordovan” refers to the color only. Ah okay. But the site does state it is Horween Chromexcel leather. I suppose you’ll have to take it up with them, if you believe they are falsely advertising. Their site states it is Chromexcel. They would not be guilty of false advertising if the shoe is made of that material. That part is not confusing. But in the article above it is stated the boots are made of a material contrary to that which is stated by the manufacturer. I believe Alex is correct. 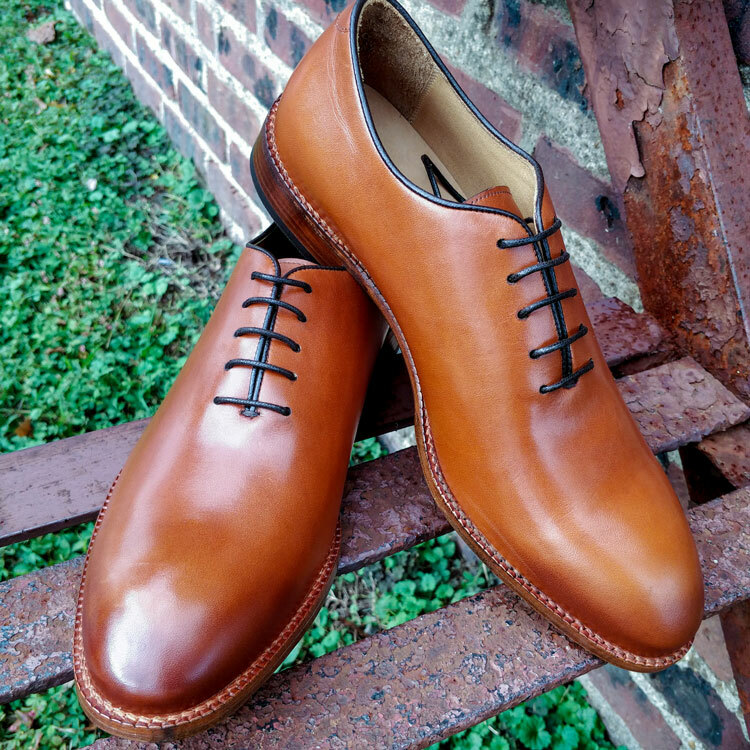 I do not believe Horween Chromexel is shell Cordovan, but a less expensive calf leather that has fantastic characteristics. Shell dies not wrinkle the way your boots have around th e toe break. I think it confusing that they call it #8 as this is a common shell color. I’ve been looking extensively at Wolverine, specifically at shoes they made out of shell cordovan. Your review should be revised knowing what you know now that these Wolverine 1000 mile boots are NOT MADE OF SHELL CORDOVAN. The only shoes Wolverine produced in that superior horse hide material is their limited edition 744LTC and 721LTD. I almost made the mistake of purchasing Wolverine 1000 mile Cordovan #8 boots because of your review. 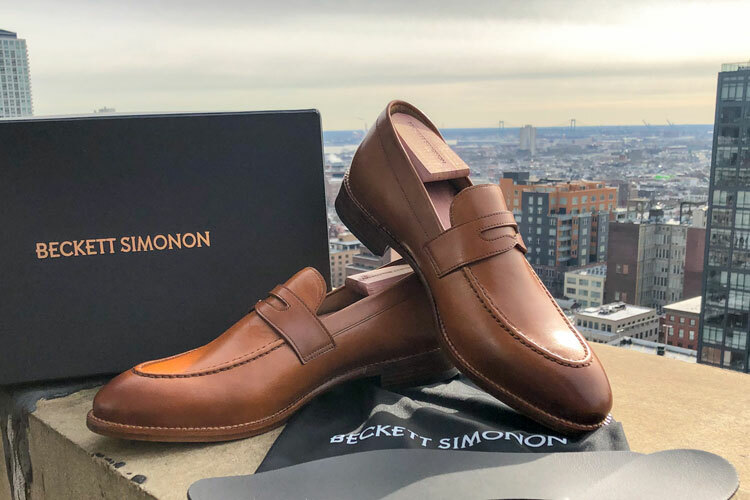 If you are such an expert in high end shoes what not, it shocks me that having those boots in your hands, you still could not discern Shell Cordovan from regular Chromexcel cow hide leather. Please do more research before you start making reviews and spreading false information, to me that completely ruins your integrity as a writer and reviewer. Here I thought you were an expert in your craft but after what, almost an entire year you still have not revised your writing knowing that a key fact is incorrect? 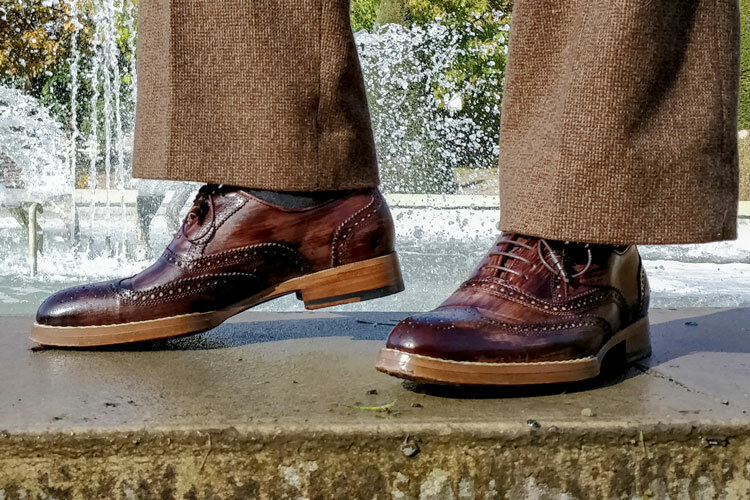 Thank you for following up on this point – the article has been revised to reflect the fact that the word “Cordovan” refers to the color of the boots as opposed to the material.